Larisa Lambert’s Complete Guide to Google AdWords attempts a middle ground, and fails. Does that make it a bad book, no? Does it make it an incomplete book, yes. Google AdWords can be a powerhouse of marketing success, if one truly knows how to leverage its secrets. Most books fall apart, however, at one of two levels. Either they give you too many technical details about AdWords, or they are so high level that they provide generalities only. The good part of the book is her attempt to situation AdWords within the context of one’s broader marketing strategy. Unlike many books on the subject, she does ask you to ask yourself about your marketing mission. Chapter Three, in particular, asks you to “define your mission” and to identify “What do you really do.” It’s a brief primer on basic marketing – the kinds of basic marketing questions that one should always ask (and answer) about your own company. What is your Business Value Proposition (BVP)? Who are your target customers? What do they want? 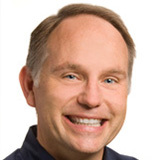 How do they wants and desires of your customers intersect with your BVP? What keywords do your customer’s search, and what tools are available to help you identify both high volume and high value keyword searches? Once someone lands on your site, what do you want them to do? How do you connect this desired action with an effective AdWords landing page strategy? Another chapter goes into far too much detail on branding, and has far too much information on “real-world” marketing. That’s not really what someone buys a book on AdWords for in the first place. 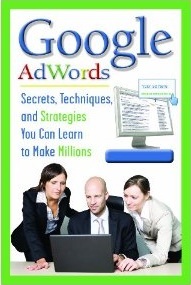 The bad in this book is that it lacks an easy-to-read interface, a step-by-step guide to AdWords. All books suffer from this problem. As someone who teaches AdWords in the real world and online (just Google ‘Jason McDonald’ to find me), I know that showing someone how to use AdWords is far, far easier than writing out written instructions. Pictures and diagrams would have made this book much easier to use, but the book is written in an almost novel-like format; unless you are truly a wordsmith, you will get lost and not really understand how to use AdWords at the nitty-gritty level. AdWords can be great, but AdWords is like Google alcohol. You can easily get drunk on it, and do many things that you will regret in the morning. Among them: bad match types. The difference among “Animal Boarding,” [Animal Boarding], +Animal +Boarding, and Animal Boarding (no quotes) is an absolutely critical part of using AdWords effectively, but this book does not clearly explain match types. Similarly, the Display or Content Network, can be your best friend or your worst enemy. Here, Lambert does a better conceptual job at warning you (though not nearly strongly enough), but she does not provide the details necessary for most people to understand where the potential troubles are and how to generate reports to find undesirable sites. The ugly reality of AdWords is that used without a proper understanding of match types and the Display network, it can cost you a pretty penny and generate little effective return. In my view, any book on AdWords should clearly and loudly state this fact. This isn’t the best book on AdWords; its merit lies in the marketing theory discussion at the beginning. For that, I rate it three stars. Not the worst book on AdWords, but certainly not the best. Not the worst book on marketing strategy, but certainly not the best. I teach Social Media Marketing in the San Francisco Bay Area, as well as consultant on AdWords in San Francisco, San Jose, Silicon Valley and generally for clients in Northern California. If you have questions on Google AdWords, reach out to me for help. Social Media is great, Social Media Marketing is better, and actually making money off of Social Media Marketing would be better yet. So I eagerly awaited and purchased this book on Amazon. Unfortunately, the book is a total disappointment. The only people who made money on the transaction were the two authors. Sigh. As someone who teaches Social Media Marketing, both online and in person, the proverbial question I get from my students and consulting clients is: Jason, this is all great, but how do we really make money with social media? There are some great real-world examples of course: Kogi BBQ (of Taco Truck fame, in LA) for instant, Woot and Dell Outlet (discount sites)… But there are many, many companies that Tweet with no purpose, or have Facebook pages that languish, not to mention blogs that no one reads or LinkedIn strategies that do little to create new sales relationships. 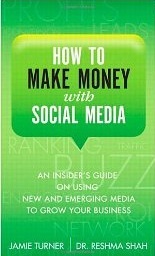 So I eagerly awaited the UPS truck from Amazon.com bringing me, How to Make Money with Social Media. My cost: $16.49. When I opened it up, I quickly new I was in trouble. As an author myself, I always start a book at the beginning – knowing how much effort I put into acknowledgements, prefaces, and the logical order of explaining something as complex as Social Media Marketing (Google ‘Jason McDonald’ to find me and my free online writings, by the way). At any rate, the authors begin their book with testimonials from companies that have super high brand recognization (e.g., Ford) and then talk about why anyone would actually read the acknowledgements, while waiting for a friend in the restroom… We are doomed, I thought. And yes we were. Most of the book is empty platitudes about marketing. AIDA – Attention, Interest, Desire, Action – for instance. Or platitudes about how we are living in the consumer era, you shouldn’t blog without being committed to it, or try to measure your social media marketing through landing pages and Google Analytics. That’s all well and good, but what I was looking for was novel ideas on how to make money with social media. I knew of some great examples, such as Kogi BBQ (Google them to find them or check them out on Twitter), or retailers like REI that have amazing social media strategies… But I wanted some in-depth case studies or tips of the trade for small businesses. These are not to be found in this book. A general introduction to marketing is better on the theory; books like the Dummies series are better on the specifics. And using your own head to critique the real strategies of other companies, even better. I always teach my own Social Media Marketing students – listen, launch, participate – first. Any number of strategies would do better than reading a book full of empty platitudes. Alas. But authors Turner and Shah DID succeed in one thing: making money on Social Media. I ordered the book, and books are non-returnable on Amazon. So kudos to the authors on that count. Someone, at least, is indeed making money with social media marketing. Myself? I continue teaching, looking, consulting, and and learning. I know of many great examples of how social media marketing is being used to move prospects to customers, customers to fans, and even fans to evangelists. I have some inklings on how to use social media marketing to make money. But it seems to be even better at relationships, conversations, and brands. That, my dear reader, is another story that you can get in many instances for free. Google ‘social media classes,’ for instance and read what shows up on page one, the Google top ten. Social Media Marketing is all the buzz these days. Your boss may think it’s amazing (because it’s allegegly free), and it’s a little like high school. Come on, give it a try – everyone’s doing it. Or in this case, smoking it. But does it really work? Can you really ignite a social media marketing movement behind your product? Brains on Fire claims you can. Let’s investigate. Where there is Social Media Marketing smoke, is there fire? Where there’s smoke, there’s fire. Or is there? Social Media S’mores: Who Pays for that Party at the Campfire? Social Media Marketing is the buzz phenomenon of our time; the goal of every major company is to have its own customer so dearly love the company and its products or services, that they market the company “for free” because they do love it so dearly. 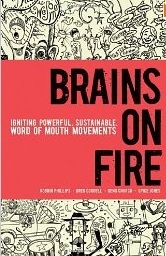 Brains on Fire is a book in that genre, the genre of here-is-this-amazing-thing-called-social-media and everyone needs to jump on the bandwagon, or in this case, stand around the campfire, with a burning brand movement of bodacious blistering bluss of brand brashiness. As someone who teaches Social Media Marketing, I enjoyed the book – and I actually bought it to read because someone who read one of my own reviews on Amazon.com asked me about it. So here was old style word-of-mouth intersecting with new school social media marketing (my own reviews on Amazon, to promote my Social Media Marketing training classes…), what could be better? But I digress.. Is the basic premise of Brands on Fire believable? Can companies truly create movements of their customers, and have those customers be so on fire about the brand, that they nearly market themselves? Are we living in a new era of marketing in which only the foolish advertise, while the smart use Facebook, Twitter, and blogs to get customers to market for free? And does social media marketing cost money? Brains on Fire waffles (to mix a metaphor) on both counts. On the one hand, the authors imply again and again that we are living in a new age of permission marketing… An age in which customers can become fans, and products movements… But on the other hand, a deeper read of this book reveals that the old is very much behind the new, and that in some instances (namely Fiskars) a good deal of money was expended on ‘free’ social media marketing. So on the first point, if you are looking at social media marketing as a free way to market, the deeper meaning of this book is it won’t work. It will take a) some money and b) a product or service that lends itself towards a fan base. Not every company will have a, or b, or both. At various points in the book, the authors refence what I think is the best book on the subject that is also fun to read: Seth Godins, “Unleashing The IdeaVirus.” In that book, Godin points out that for a ‘movement’ to ignite it usually takes the ‘sneezers’ – either the powerful or the promiscuous to spark the movement or ideavirus. The authors of the Brains on Fire in no way state the concept as clearly, but it is clearly there. Most of their book is built around the example of Fiskars, which are those annoyingly bright yellow scissors used by the crafters. Crafters are not your normal folk, and so this example is not your normal example. First of all, the Fiskars ‘movement’ was very much encouraged and catalyzed by the company, beginning with the first meet-up, at which people were paid to attend, and paid for their air fare, etc. The company and the Brains on Fire team strategically sought out the Seth Godin sneezers and paid them to start sneezing. Is that a bad thing? No, but the book would have done better to more clearly point out that it took money to start the Fiskars movement, and (moreover) it takes money to sustain it. The revolution may not be televised, but it will cost money and your company may need to pony up to pay. The point about money is made in the book, though not nearly as clearly as Seth Godin points out in his earlier work. But what is much, much worse in the book is an absence of analysis as to which types of companies, products, or services are conducive to ‘viral’ social media marketing and which are not. Craftsy fun products like Fiskar scissors are a great fit for Facebook, Twitter and the like. Industrial ruggedized computers, not so much. Even businesses like Best Buy (mentioned often in the book) really struggle to build a 24/7 conversation about their businesses; Best Buy has been most successful with Tweeting and Facebooking coupons and discounts. But are coupons and discounts the stuff of social media movements? So if you are a small business marketer reading this book for ideas, do pay attention to the Fiskars’ movement, just be a bit more cynical and analytical than the others. The experience cost money, and was catalyzed by a great product that existed in an atmosphere very conducive to social media. Your situation may be quite different, indeed. Social Media Marketing S’mores: Who Pays for that Party at the Campfire? Social media marketing is getting a lot of attention from corporate America these days, not the least of which is that its ROI promises to be fantastic. What could be cooler than your customers promoting your stuff, for free? Clearly, an admirable goal for any marketer worth its salt. So is Social Media Marketing worth it? Perhaps. For some companies, especially big ones like Best Buy, Coca Cola, or Ford, just having an active social media community is worth the brand awareness. Their goals are not the specific, get the sales number up goals that we see in small companies. But for small companies, the ROI has to ultimately translate into sales and the expenses incurred at promoting the social media marketing campfire need to be less than the profits made through better branding and attention. Will it cost money? Yes. Will it cost time? Yes. Will it be worth it? That depends. The book has some good food for thought, but don’t be deceived by the smoke of it all. Where there’s smoke, there’s fire. Where there is a brain on fire someone lit a match, and that someone who bought the match, and struck it, will ultimately probably be: you.